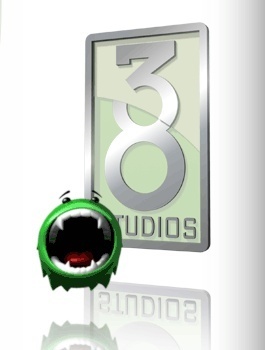 38 Studios employees reportedly haven't been paid since May 1, and that's not the worst news. The situation at Kingdoms of Amalur developer 38 Studios seems to be unraveling with a growing quickness. Seemingly confirming a rumor that went up earlier this month, a source has told Joystiq that employees at the studio actually haven't been paid since May 1, and that their health insurance is set to run out today. Payroll is normally made on the first and 15th of each month and it's not clear whether the May 1 pay was made or not, but either way the situation is bad enough that a number of employees attended a job fair in Rhode Island held by MMO rival Turbine. 38 Studios has also apparently lost two of its top executives: CEO Jen MacLean, whose LinkedIn profile says she left the company in March (although WPRI says she's actually been on maternity leave for the past two months) and John Blakely, the senior vice president of product development, who only joined the studio in January and was present at meetings with the Rhode Island Economic Development Corporation as recently as Monday. The biggest blow to the studio's efforts to stay solvent, however, may have been dealt by a report that it could be legally ineligible to receive millions of dollars in tax credits because it's not actually incorporated in Rhode Island. State law specifically dictates that companies are only eligible to receive tax credits if they're "formed under the laws of the state of Rhode Island," but 38 Studios is actually organized under Delaware law and registered as an out-of-state limited liability company. Despite 38 Studios founder Curt Schilling saying in March 2010, "I've never said or will say 'Give us tax credits or we bolt'," the company is now apparently desperate for nearly $9 million in tax credits, which it could then sell to another firm for cash to keep itself afloat for awhile longer. Schilling also insisted on Facebook yesterday that Kingdoms of Amalur: Reckoning was actually a big success. "I wanted to clear up some misinformation around 38 Studios first product, Reckoning," he wrote. "Sales of Reckoning OUTPERFORMED EA's expectations and sold more than 1.2 million units in the game's first 90 days in the market." That statement came in response to comments by Rhode Island Governor Lincoln Chafee, who described the game as a "flop." UPDATE: A source has told Joystiq that 38 Studios has now laid of all employees of the Project Copernicus team and at Big Huge Games, acquired by 38 Studios in 2009. Big Huge Games is the studio that actually developed Kingdoms of Amalur: Reckoning, which came out in February. The layoffs haven't yet been officially confirmed but Colin Campbell, the lead world designer at Big Huge, tweeted about it earlier this afternoon. "Big Huge Games was home for my wife and me for our adult lives so far. I'll miss it terribly, but so proud," he wrote. "Good night and good luck."